High pressure sensor, electronic switch and digital gauge with an all welded stainless steel flush diaphragm for high viscosity liquids. The DS 201P is a combined sensor, electronic switch and digital gauge with an all welded stainless steel flush face diaphragm for measuring the pressure of high viscosity liquids or gases and fluid requiring a high level of cleanliness. 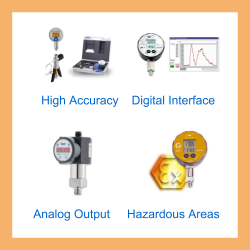 Choose measuring ranges from 60 bar up to 400 bar with gauge or absolute reference. Select different sizes of BSP thread for a screw-in type pressure fitting. 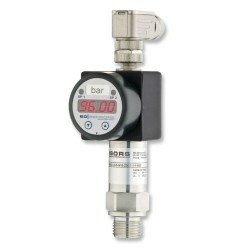 The integrated digital readout can be configured to read in any pressure units and process pressure limits can be set for controlling external equipment. Switch Contacts: 1,2 or 4 solid state type, 125mA current load limit with 4 to 20mA (2 or 3 wire) or 500mA limit with the 0 to 10V output. The DS 201p flush membrane electronic pressure switch is designed specifically for measuring high viscosity media at high pressures and when needed also at high temperatures. The contact diaphragm is welded to the end of the connecting thread so that the pressure switch can be installed so that the diaphragm is level with inside walls of the pipe or tank containing the viscous media. Since it is possible to install the sensor without any recesses it is easy to ensure that the diaphragm is kept clear of congealed or solidified product which would otherwise restrict sensing response. For hot media the electronics can be isolated from the flush diaphragm by an oil filled extension which radiates heat away from the instrument before it reaches the heat sensitive electronics. The instrument head of the DS201P flush pressure gauge, switch and sensor contains a digital indicator with an LED digital display and two buttons for programming the display mode and alarm settings. The readout display is powered by the same voltage that is powering the analogue sensor output part of the device. The PNP solid state switch contacts provides a fixed DC voltage output when the pressure threshold has been reached. This can be used to activate equipment or provide a warning alarm for operators. The LED readout can be configured to read in any units, as long as there are a sufficient number of digits available and labels are provided for identifying the pressure unit on the front panel. The analogue output for the DS 201P flush pressure gauge sensor is available in 4 versions, a 4 to 20 milliamp loop, 3 wire 0 to 10 volts, intrinsically safe 4 to 20mA current or a 5 to 1 adjustable 4 to 20mA (3 wire), the latter of which can be configured via the keypad menu list. 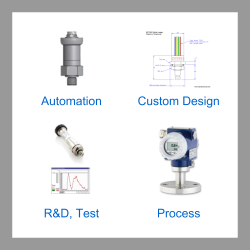 Please select the options you require for the DS201P High Range Flush Pressure Gauge, Switch and Sensor in your application and request a quote. Send us your enquiry for DS201P High Range Flush Pressure Gauge, Switch and Sensor to get assistance with this product type.